In 2007, Edna Simbi was running for her life. Now, almost nine years later, the former American River College student remembers the journey that took her from escaping cultural practices in Kenya, such as wife inheritance and female genital mutilation, to working in the office of the attorney general of the United Nations. Before coming to the U.S. on asylum in 2010, Simbi spent several years on the run from what she described as the marginalization of women in the developing world. She grew up in Kenya but had to flee her community because of the practice of wife inheritance. Wife inheritance, also known as widow or bride inheritance, is a cultural practice whereby a widow is required to marry a male relative of her late husband, often his brother. This has often times been linked to an increased spread of HIV and, according to the National AIDS Control of Kenya, over 1.6 million people in Kenya were living with HIV in 2014. She left one harmful cultural practice only to find a community that was practicing another one ‒ female genital mutilation. After fleeing both communities, she made her way to Uganda and lived there for three and a half years as a refugee before she was found by the same people she was running from. They kidnapped her daughter and took her back to Kenya. Although she did not want to go into the exact details, Simbi said that the obstacles she faced while trying to find her daughter were extensive. The police wouldn’t help her and thought she was behaving like a “white woman” by refusing to fulfill the cultural requirements of wife inheritance and FGM which they thought made her a woman. The journey of getting her daughter back is what moved her to seek asylum and eventually led her to Sacramento. It’s also one of the main reasons why she’s focused now on eventually going back and “changing the statistics” in her country and Sub-Saharan Africa as a whole. She started attending classes at ARC in the spring of 2012 and after taking 23 units a semester for one and a half a years, she graduated in May 2013 with four associate degrees and an honors certificate. Although she was only at ARC for a short period of time, she described the college as an “integral part” of her journey. Her time at ARC inspired her to pursue a career with the United Nations and she credits ARC political science professor Kathleen Collihan as “one of the big reasons” she got involved with the UN. Collihan described her relationship with Simbi as “multi-faceted” and said that she was always discussing “big picture” ideas. “She’s very driven and focused. She’s the reason she is who she is today,” she continued. Collihan said that they still keep in touch through email and that Simbi’s “resilience” will help her do great things. Carlos Reyes, ARC’s dean of behavioral and social sciences, is another faculty member who Simbi credits as being an influencer during her time at the college. Reyes, however, said that he thinks Simbi’s drive would have taken her wherever she wanted, with or without the support. He added that he’s just “grateful she came through” his program. After leaving ARC, Simbi got accepted into several schools but chose Columbia because she wanted to work for the UN. Columbia’s campus is only 5 miles from the UN headquarters in New York City. At Columbia, Simbi is working on a joint program to get both her Bachelor’s and Master’s degrees simultaneously. Kimuli Kunihira Kasara, who is a political science professor at Columbia and was Simbi’s honors thesis adviser, described Simbi as “one of the most exceptional” students she’s worked with. 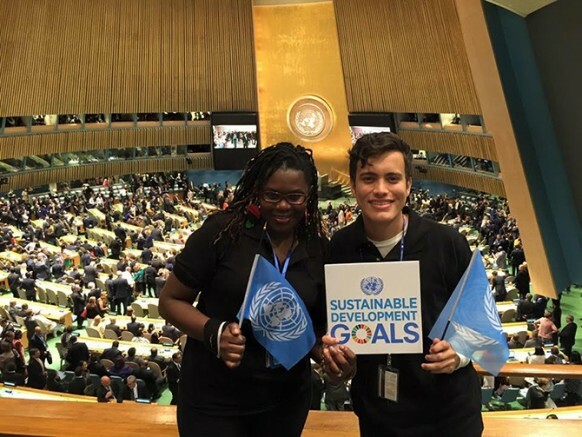 Simbi said that working for the UN was the most direct approach she saw for making sure that the change she wanted to see in the world happened. 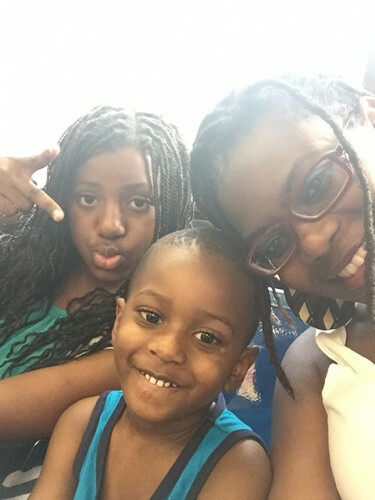 Now that her children are experiencing a much different upbringing than her own, Simbi said that she feels that there’s a paradox in the way she wants to raise them. She admires the sense of ideals inherent in Kenya like watching out for your brothers and sisters but rejects the harmful cultural traditions. Simibi believes that initiation to womanhood and initiation to manhood is really important to have, but it should still be possible to remove the harmful aspects of it without necessarily sacrificing what they stand for. Despite having to flee, Simbi still recognizes the positive aspects of Kenya and hopes to one day return and help move the country in the right direction. “Kenya is a wonderful place, a wonderful place, but also very retrogressive in terms of culture,” she said. Simbi admitted that, despite her hard work, she wouldn’t have gone anywhere without her faith. Over half a decade since she left Kenya, Simbi still feels overwhelmed with how far she’s come in life. 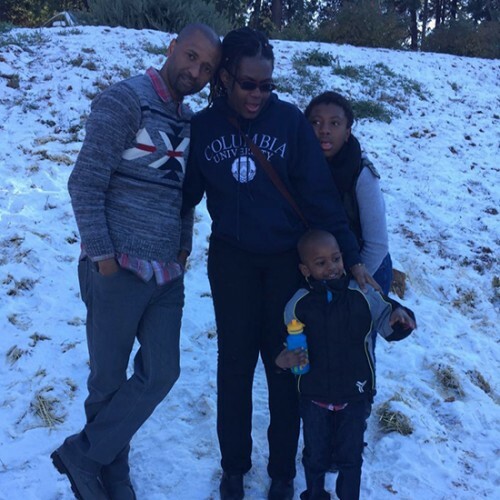 1 Comment on "Finding asylum: Kenyan refugee opens up about her journey from Africa to the US"
I would like to get in touch with Edna Simbi. Please give her my e-mail address.